It was never going to be an easy tour for any team but doubly so for a sub-continental side like Pakistan, which was expected to struggle in the face of pace-friendly conditions in South Africa. The result of the Test series was in many ways an expected one and whilst the embarrassment that Pakistan felt at the conclusion of a 3-0 battering in the five-day format may have been hard to take for some, the fact remains that the current Pakistan Test side was ill-equipped to deal with the tough South African conditions. In a sense, Pakistan’s current standing of number seven in ICC’s Test rankings was justified by their dismal performances throughout the series, but by the same logic they were expected to justify their No 5 standing in ODIs in the five-match ODI series against the hosts. It could have simply been the case that this was a format suited for many Pakistan batsmen, who had indeed forgotten the art of constructing long innings or was just the sort of break and a fresh start that Sarfaraz Ahmed and Co needed to forget and hit the reboot button on what appeared to be a disastrous tour. In any event, Pakistan started off well by shocking the hosts with a victory in the first match of the series when they chased down a relatively tricky target of 267. Whilst the welcome relief on Pakistani faces was totally understandable, the puzzlement on South African faces was equally fascinating when one considered that the home-side lost just two wickets and had a centurion, Hashim Amla, in their midst as well. Quite why the Proteas could not muster a significant score points to a side which is still in the making as they look to fine-tune themselves for the World Cup in England later this year. South Africa, to their immense credit, did make a commendable comeback in the following two games which in a way owed more to familiar Pakistan frailties in batting and bowling and some vagaries of the weather. The fourth game of the series, however, turned out to be one that Pakistan took great heart from as they looked for a rare overseas ODI series win. 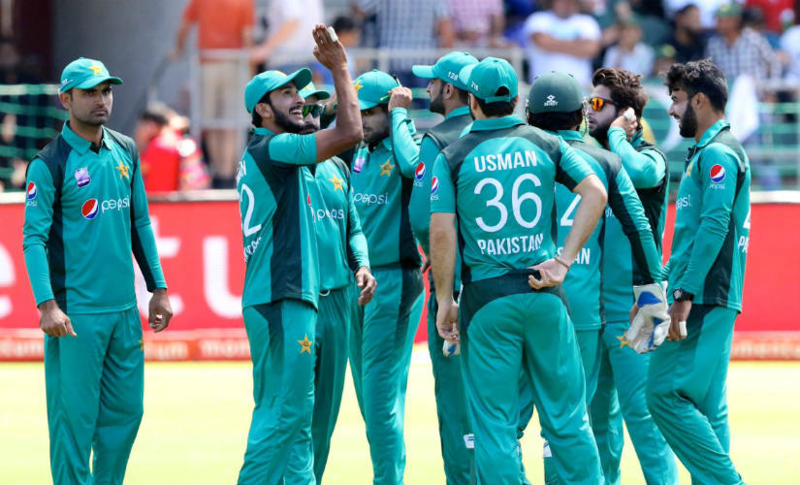 Of course, the controversy sparked by the Pakistan captain’s derogatory remarks was not what the doctor ordered for the visiting side, but it did cast a shadow on what could have been a successful series of performances for the Pakistan side. But true to their unpredictable nature, Pakistan duly lost the series decider with the hosts taking the final game in a convincing manner, winning by seven wickets. With the World Cup fast approaching, the aim for all cricketing nations behind playing ODI series apart from moving up the rankings ladder is to attempt to put a final shape to the squads for ICC’s marquee event. With that goal in mind, despite best intentions, it would appear that Pakistan have ended up with more questions than answers during the ODI series against South Africa. Batting has been their weakness in most formats of the game and Imam-ul-Haq’s continued improvement would have brought a big smile on the face of Mickey Arthur and Sarfaraz. The strong temperament that Imam has exhibited against some tough odds point to a bright future for a player who has been criticised for his selection due to family connections. His opening partner Fakhar Zaman had a disastrous Test series but seemed to come to his own during the fourth ODI, and then again in the fifth ODI in which he scored 70. Fakhar looks to be regaining the same touch that saw him hit a century in the Champions Trophy final in 2017. The Pakistan bowling department, as expected, has continued to offer its services in the shape of Hasan Ali and the fast-improving Shaheen Shah Afridi and along with the precocious talent of Shadab Khan. Whilst each of these bowlers are reasons for optimism for Pakistan cricket supporters, the real lack of penetration from Mohammad Amir is a concern, as are the sporadic periods of excellence of Usman Khan Shinwari. All in all, it was a satisfactory end to the ODI series for South Africa, who claimed victory with a 3-2 margin. It wasn’t as one-sided enough for any side to claim total superiority, but obviously the hosts would be the happier side as they walked away with the trophy. For South Africa, there is still work to be done to allow them to repeat their Test form, but in Faf du Plessis, they have an ideal leader who can still put things right before the World Cup, as was demonstrated by his willingness to experiment with his team combination and tactics during the series. Resting Steyn and Quinton de Kock for the first two matches and the inclusion of Willem Mulder and Dwaine Pretorius in the playing eleven as well as asking Imran Tahir to bowl at the start of the innings are all signs that South Africa are still actively looking for the best way to go about business in ODIs with a special eye on the big prize in England. Whilst du Plessis can rest assured that his position as ODI captain is secure and will remain so for the foreseeable future, the same cannot be said with certainty when it comes to Pakistan’s beleaguered leader Sarfaraz. He will definitely have his work cut out in the coming weeks to ensure that not only does Pakistan have a team combination that can challenge the very best in the world but also to convince his Board that he remains the best option for leader of his team as well.